BLANK SPACE is pleased to announce “Heo 虛,” an exhibition of sculptural work by Seungmo Park opening March 1, 2016 and on view through April 16, 2016. It is the artist’s second exhibition with the gallery. Demonstrating Park’s pioneering achievements in stainless steel, the exhibition presents his new work, which underscores his longstanding interest of representing the reality and visual perception by creating a convincing illusion of his subjects. Park’s Heo 虛 series, meaning ‘hollowness’ in Chinese, demonstrates a poetic expansion of the artist’s persistent philosophical inquiries on man, verisimilitude of his figures, and his effort to strip them to the bare essentials. In Park’s earlier works, the artist has worked with life-cast and models drawing upon the tradition of classical and archaic sculptures with highly realistic renderings of body and form. Advancing this practice, Park succeeds in creating an entirely different representation of human figures as a disparate space where we simply inhabit. His inflated and twisted figures devoid of life are surprisingly real, witty and complex. 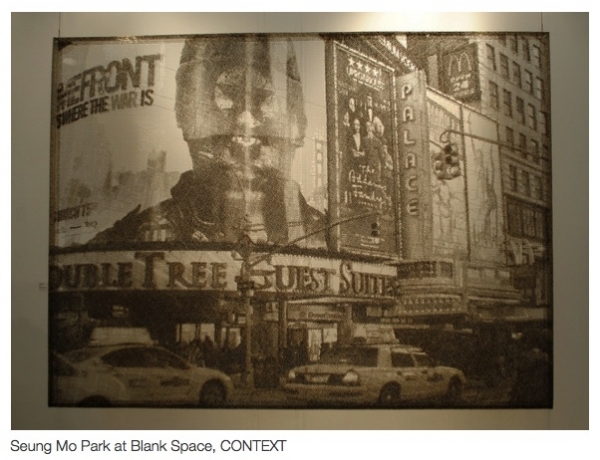 Park’s Maya series is in line with the artist’s idea of constructing a space or scene that transcends its existence. His photorealistic work, seemingly computer-generated, are painstakingly hand-crafted by cutting layers of wire mesh. Prompting viewers interact with works of art and their immediate surroundings, the artist enacts a way of seeing beyond what is real and visible. 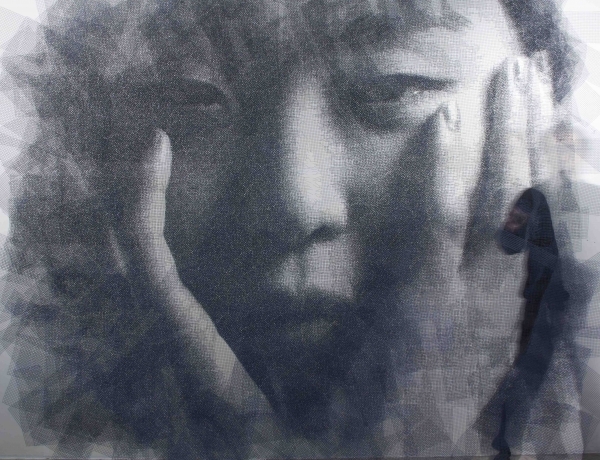 Born in South Korea, Seungmo Park received his BFA at Dong-A University in Pusan, Korea in 1998. Park’s work have been collected and exhibted by numerous institutions world-wide including his solo exhibition at The Dennos Museum Center (2014, Traverse City, MI), Kalamazoo Institute of Arts, (2015. Kalamazoo, MI) Marshall M. Fredericks Sculpture Museum (2014, University Center, MI) and group exhibitions at Saatchi Gallery (2009, London, England), the Museum of Arts and Design (2011, New York, NY), the Museum of Contemporary Art, Taipei (2014, Taipei, Taiwan), Gwangju Museum of Art, (2012, Gwangju, Korea) the Gyeonggi Museum of Modern Art (2012, Ansan, Korea), Fairmont Bar Al Bahr (2012, Abu Dhabi, UAE), Pohang Art Center (2011, Pohang, Korea), Hangaram Art Museum, (Seoul, Korea), Insa Art Center (2010, Seoul, Korea), Ansan Arts Center (2009, Ansan, Korea) and Albemarle Gallery (2008, London, England). 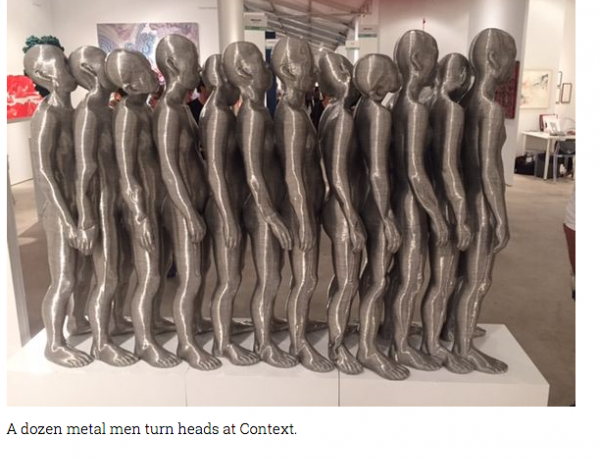 A dozen metal men turn heads at Context. 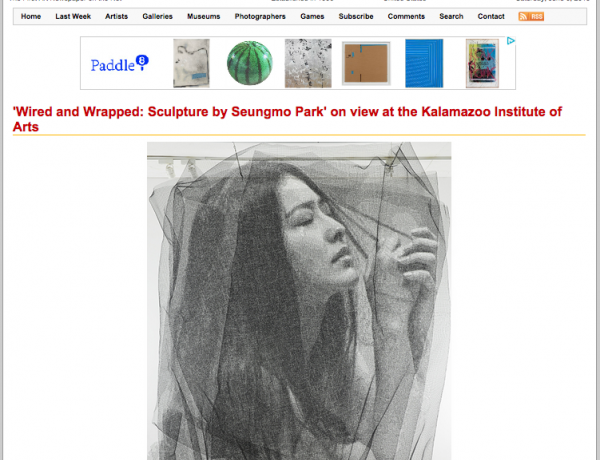 A new exhibition opened at the Kalamazoo Institute of Arts December 20: Wired and Wrapped: Sculpture by Seungmo Park. It's the second of three contemporary shows the KIA is presenting this season by artists from China, Korea, and Japan. A rising presence on the international art scene, Park is a Korean sculptor whose work takes two approaches: ephemeral and object-based, each with extreme detail. His Maya series features large-scale, dreamy portraits and landscapes, created via meticulously cut layers of wire mesh. 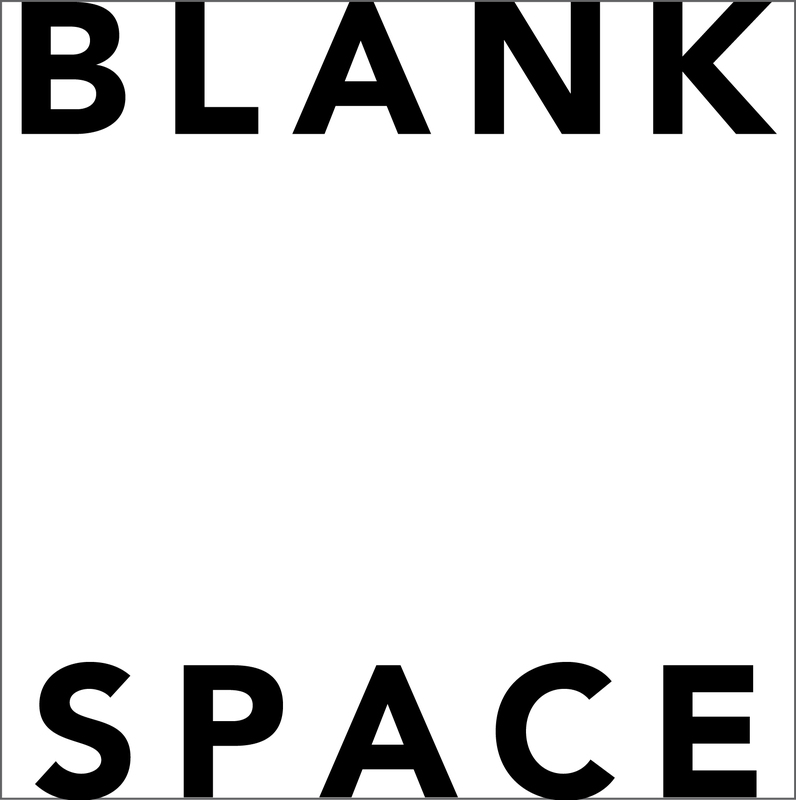 Photographic in detail, the images disappear from any but a direct angle, appearing simply as hanging sheets of gray screens. (Pictured is Maya 7624). Sister fairs to Art Miami (covered here), CONTEXT and Aqua are the upscale fair’s more youthful counterparts with their focus on emerging artists and low brow cult icons. The two smaller fairs took place during Miami Art Week, which ended this past Sunday, with CONTEXT in an exhibition tent in Midtown and Aqua at a retro hotel (with each room serving as a gallery booth) in Miami Beach. Take a look at some highlights from CONTEXT and Aqua below. The 45-year-old artist also pioneered a technique for creating photo-realistic negatives from snipped, clipped and shaped stainless-steel mesh. The multi-layered portraits and landscapes appear — when viewed from the wrong angle or too close — to be little more than twisted, jagged wires and mesh. A step back and the images begin to appear. Two steps and they become clearer. Three and the illusion of depth flows from them. Park calls the technique MAYA. The technique emerged four or five years ago while he was experimenting, Park said. 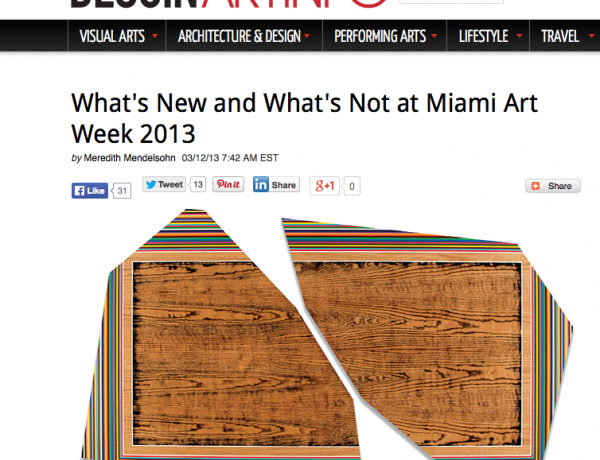 Among the fresh faces at Art Basel in Miami Beach this year are Elizabeth Dee, cofounder and president of the Independent fair in New York, as well as several members of the New Art Dealers Alliance (NADA), who are graduating from the organization’s event at the Deauville Beach Resort to the convention center. “The vacancies are enabling us to bring on some great new galleries,” says NADA Art Fair director Heather Hubbs, who also notes that due to economic recovery, she has seen “a surprising number of quality galleries open in places you wouldn’t necessarily expect” over the past couple of years. This year the NADA show attracts a strong crowd of young art world insiders, with a range of exhibitors from places likes Romania and Estonia to Milwaukee and Kansas City.